Welcome to The Penthouse, Haus Alpina, Klosters. With its enviable snow record, Klosters offers some of the most exciting skiing for all abilities and the longest runs (12km) in the world. The beautiful, un-spoilt Swiss village is also well known for its off-piste skiing which has made it a firm favourite of European Royal families. It caters brilliantly for those after a traditional, exclusive resort full of charm and away from the main tourist market. 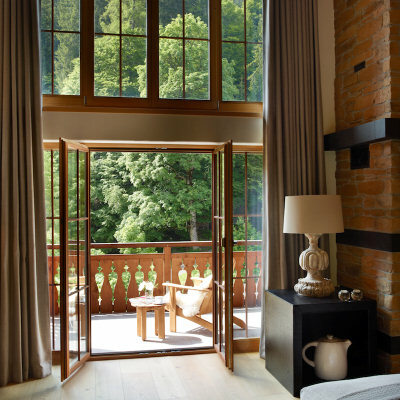 The Penthouse at Haus Alpina is a truly luxurious privately owned home. Offering the perfect combination of elegant, spacious, contemporary interiors with the upmost comfort and service – it’s the perfect choice for a large family or group of friends. Occupying the two top floors of Haus Alpina, the Penthouse sleeps up to 12 guests in 6 supremely comfortable en-suite bedrooms. Two impressive double height living rooms, a formal dining area, a traditional swiss-stubli, a galleried library, plus a cosy TV room and massage room, offer a wide choice of areas to enjoy and entertain in. Situated in a lovely quiet area of Klosters, with some great views of the mountains, we are a 5 minute drive or 10 minute walk to the lifts and centre of town. We have a secure, private garage which offers parking for up to 10 cars and a fully fitted ski-room. Lift access takes you directly into The Penthouse where our chef and host will be happy to cater for all your requirements. Choose to rent the entire Penthouse with 6 en-suite bedrooms for up to 12 guests. Alternatively it can be rented for up to 10 guests, excluding the 2nd floor Master Bedroom Suite. 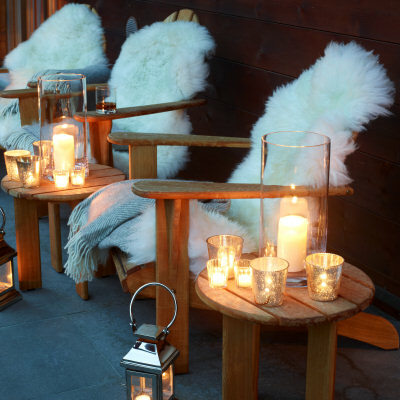 "The most glamorous and comfortable chalet in Klosters; luxurious, calm & quiet, with excellent service, delicious food, huge living space and the most comfortable beds imaginable"